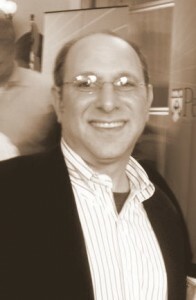 David W. Feldman is President of Right-Sized Homes, LLC, a real estate development and project management firm in Southeast Pennsylvania concentrating on sustainable development in established urban neighborhoods. Prior to establishing Right-Sized Homes, LLC., Mr. Feldman was a consultant to non-profit and private developers of urban infill housing, and worked with community development corporations to design and implement neighborhood revitalization and marketing plans. As Senior Program Officer at Local Initiatives Support Corporation, he underwrote and provided technical assistance on the development of over 3,000 units of low- and moderate- income homes. Mr. Feldman is is also a Pennsylvania-registered architect, whose early career included architectural practice and teaching in Philadelphia, Boston and the United Kingdom. He completed the Graduate Management Studies Program at the Wharton School of the University of Pennsylvania, holds a Master of Architecture degree, with concentration in Urban Design , from the Graduate School of Design at Harvard University, and a Bachelor of Arts degree in Design of the Environment (a joint planning, landscape and architecture program) from the University of Pennsylvania.